Are you seeking some sort of financial instrument that can give you decent income at low or moderate risk? Or, do you want to park that surplus cash somewhere in a hope of receiving greater returns than an FD could provide? Yes! Then, let me take you to the world of MIP. 1. Dividend choice: Dividend based MIPs provide you returns by way of dividends. You can choose to receive the returns on a monthly, quarterly, bi-yearly or yearly basis. Just that, you have to mention the choice of the option at the time of purchasing the MIP. It is important to note here that while you as an investor need not pay any tax on dividend from MIPs, the company pays a Dividend Distribution Tax of about 14% on the dividend. So, your income reduces by that amount before reaching you. Let’s assume, a company announces a dividend of Rs 5 per unit. In this case, the company pays 70 paise (14% of Rs.5) as Dividend Distribution Tax. You will now receive only the remaining amount of which you don’t give any tax. Bear in mind, the NAV of your MIP comes down by Rs.5 once the dividend is announced and granted to you. Thus, dividends are your own money given to you! The benefit of this choice is that you start earning profits as soon as the company announces the dividends. Moreover, you need not worry about taxation concerns. However, the flip side is that dividend distribution tax is paid by the company and your income will come if the company declares the dividends. If the company misses the dividend, you will not be earning any profit for that quarter/month. 2. Growth Choice: Under this option, you do not receive income by way of dividends; rather it continues to grow within the mutual funds. Hence, you can reap the profits in future when you redeem the funds. Here, you are set to benefit from the power of compounding as your income earns in future. Again, by using a bit of tactic, you can generate steadier and tax efficient returns through this method. 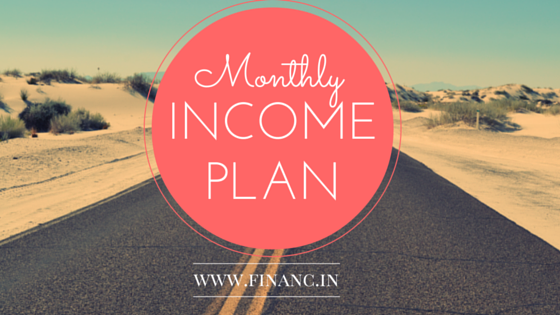 You can choose to open a systematic withdrawal plan (SWP) after one year from MIP. Through in this method, you need not depend on dividend declaration, as you have decided to liquidate a specific portion of your MIPs and sell it to get the money in your bank account. Moreover, as you start the plan after one year, you can avoid exit load and the income you receive will be Long term capital gains. Hence, you pay only 10% on the income (without indexation), as against 14% dividend distribution tax. This is an excellent option to save tax if you are investing a huge amount in MIPs. Dividends: The dividends gained from MIP are tax-free in your hands. However, the companies already give Dividend distribution tax from MIPs itself. Long Term Capital Gains: Any income you receive after 1 year is charged at 20% (with indexation) or 10% (without indexation), whichever is lesser. Short Term Capital Gains: Any income before a year is considered as Short term capital gains. 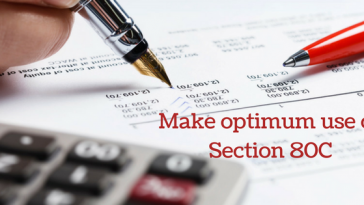 It is included in your profits and levied at your slab rate. The investors belonging to higher tax slabs should not sell their MIPs before a year, or they will end up paying huge taxes on their profits. Short Term and Long term Capital Loss: The biggest advantage of investing in MIPs than banks deposits (FDs) or Post Office plans is that even if you incurred losses in MIPs, you can still offset it against the capital gains during the ongoing year or in coming years. This ensures that you can utilize losses for the purpose of saving taxes. It is a myth that MIPs provide assured monthly income. Although the purpose of MIPs is to announce dividends on a regular basis but sometimes the company may not announce any dividend due to bad performance. Moreover, there is no guideline for MIPs to announce regular dividends. So be prepared, you might not receive your income now and again. System stipulates that dividend may be given only from profits, not from the capital you invested. This simply means that dividends can be announced only from the profits earned. Take, for instance, your NAV was initially Rs 20 and it rose to Rs 20.5 after a month, then the dividend is only paid from this 0.5, not from your initial value. This explains that a company that is not doing well may not constantly give you an income. Despite being a debt based product, it necessarily does not mean that MIPs are “risk-free” as in some extreme cases; even they can give negative returns. Debt is affected by interest rates, when the rate falls, your NAV increases as the value of bond rises. Likewise, when interest rate increases, NAV drops. The equity segment of the fund will help in maintaining your returns at such times. MIPs are a lucrative prospect for agents as they earn as much as 1-1.5% commission instead of 0.5-.75% in Equity mutual funds. As a result, high commission attracts agents to sell MIPs. However, not many investors realize that almost every MIPs involve 1% exit load if you withdraw within 1 year or sometimes 1.5 years. MIPs announce only a segment of earned profits as dividends, instead of declaring the entire profits as the dividend. This helps to save the remaining profits for critical times. In this way, when companies are going through a rough patch, they can announce dividends on the money saved. MIPs are a good option for you if you want to go ahead and invest in something other than Fixed Deposits and are willing to take a small risk. Though MIPs can be considered as income producing instruments, sometimes you may not earn a profit and you should be prepared for that. 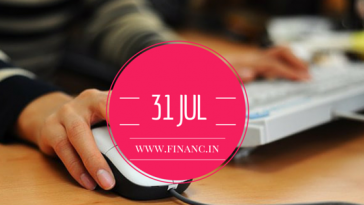 Previous article Why filing your Income Tax Return before 31st July is Important?